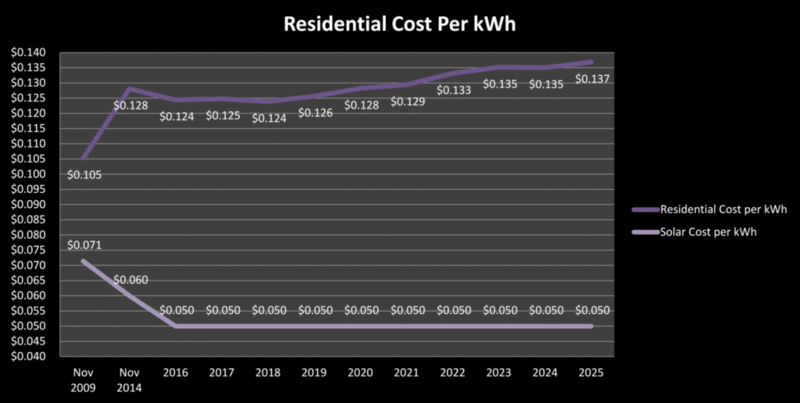 Home Blog The ITC Cliff: Will solar be economically viable without the ITC? 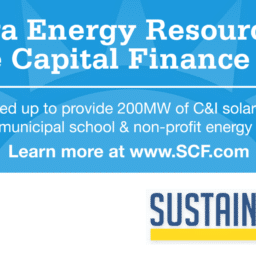 The solar Investment Tax Credit (ITC) is one of the most important federal policy mechanisms to support the deployment of solar energy in the United States. The ITC continues to drive growth in the industry and thereby job creation across the country. The ITC is a 30 percent tax credit for solar systems on residential (under Section 25D) and commercial (under Section 48) properties. The existence of the ITC through 2021 provides market certainty for companies to develop long-term investments that drive competition and technological innovation, which in turn, lowers costs for consumers. The ITC is based on the amount of investment in solar property. Both the residential and commercial ITC are equal to 30 percent of the basis that is invested in eligible property which has commenced construction through 2019. The ITC then steps down to 26 percent in 2020 and 22 percent in 2021. After 2021, the residential credit will drop to zero while the commercial and utility credit will drop to a permanent 10 percent. The residential and commercial solar ITC has helped annual solar installation grow by over 1,600 percent since the ITC was implemented in 2006, which represents a compound annual growth rate of 76 percent. According to the Solar Energy Industries Association (SEIA), solar installations increased 30% in 2014, thanks partly to cheaper photovoltaic panels (according to GTM Research). Solar proponents note that the solar industry employs more than twice as many U.S. workers as coal mining and has added jobs 20 times faster than the rest of the economy. Additionally, approximately 27 gigawatts of solar energy were installed in the US in 2015 with installations expected to reach nearly 100 gigawatts by the end of 2020. The 30% investment tax credit is paying dividends for America. Solar is growing faster than any other domestic energy source as prices continue to plummet, even beating out coal and cheap natural gas in some markets. The solar industry created one in 78 of our country’s new jobs last year while providing living-wage salaries for more than 200,000 Americans. Moreover, the roughly 210,000 Americans currently employed in solar is expected to double to 420,000 in the same time period, all this while spurring roughly $140 billion in economic activity. The continued success of the ITC demonstrates that stable, long-term federal tax incentives can drive economic growth while reducing prices and creating jobs in one of America’s fastest-growing industries. Many supporters say the abrupt end date of the 30% credit represents a “cliff” for the industry. Without the current incentive, they argue, installation of solar-power systems will plummet, and thousands of jobs in the industry will be lost as a result. However, others argue that the “cliff” isn’t as steep as it appears, and that solar will continue to grow even without the 30% credit—albeit not as quickly as before. Can the solar industry survive without the current credit? According to Energy Information Administration data in 2015 (when the ITC was scheduled to expire at the end of 2016), if the 30% credit was not extended, rooftop solar photovoltaic installations would plunge 94% in 2017 from a year earlier and utility-scale projects would decline 100%, with neither recovering anywhere close to today’s levels even a decade from now. Bloomberg predicted solar installations would drop by two-thirds in 2017, which the Solar Energy Industries Association estimate would cost America 100,000 jobs. The ITC provided certainty in the business model. 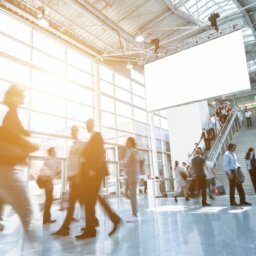 The multiyear assurance provided by the eight-year (2008 thru 2016) 30% credit leveraged billions in new high-tech innovation and project development, lowered risks to allow startups to launch new products and services, and resulted in tens of millions of panels installed across America. According to the Natural Renewable Energy Laboratory (NREL), the elimination of the ITC would not impact the industry growth because financiers, not developers, grab about half of the tax credit. The credit has proved an essential financing mechanism to getting solar built, even though some projects rely on complex tax-equity structures to monetize the credit. Optimists also speculate that it will get easier for people to finance solar systems themselves with loans if the credit goes away. 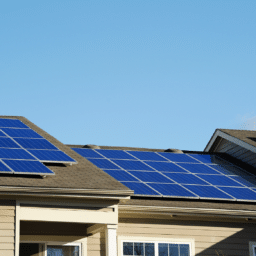 The residential solar market is shifting to more self-financing, but rising prices in the absence of the credit could make solar uneconomical and scare off buyers. The lack of a credit will also make it harder for utility-scale projects, which account for most solar investment dollars, to compete for scarce capital and against more carbon-intensive generation alternatives. 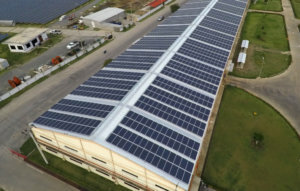 A study from Bloomberg estimates that the loss of the tax credit will cause solar capacity to only quadruple, instead of quintuple, by 2022, which is still a substantial increase. A Wall Street Journal analysis reinforces this assessment. In 22 states, at least one gigawatt of solar (and often much more) could be installed at a comparable cost to retail electricity prices by 2017, tax credit not included. What’s more, the change to the tax credit will open up new options for financing. Solar energy’s low risk and steady returns are attracting new investors whose profit expectations are much lower than many currently participating in solar financing. Additionally, solar securitizations are becoming more widely utilized, attracting new institutional investors. If the change in the tax credit opens the door to more sizable, low-margin investors that offer a discounted cost of debt and equity for solar projects, The Wall Street Journal estimates that the net cost of solar would rise just 2.5% with the loss of the tax credit. Non-renewable retail residential electricity rates per kWh have increased about 4% on average (Nov 2005 thru Nov 2014), per year, over the last 10 years. According to the Energy Information Administration, residential electricity rates have increased nationally by around 30% in the last 10 years – from about 9¢ per kilowatt-hour (kWh) in 2005 to about 13¢/kWh in 2014. Natural gas prices are expected to increase, as a result of higher anticipated infrastructure costs. Coal-fired electricity will continue to rise. Solar rates per kWh have decreased from approximately $.071 in 2009, to $.050 in 2015. The cost of renewable energy is decreasing, while the cost of traditional non-renewable energy sources is increasing. However, the existing electrical grid is designed for continuous energy flow and is not designed to “store” any excess electricity. If a new grid was to be built today, it would bear little resemblance to the existing system. The United States electrical grid is wearing out. Depreciation expense exceeds new investment. Costs of generation, both fixed and variable are rising. Costs of transmission and distribution are rising. The costs of doing business are rising. On the other hand, utility revenues from energy sales are declining as a result of conservation, energy efficiency, distributed generation and competition. Utilities generally collect a majority of their revenue through charges for energy usage, a variable quantity, yet the majority of their costs are due to capacity, a fixed quantity that doesn’t diminish with diminished energy consumption. Traditional approaches to rate design are no longer sufficient. Simply raising rates to overcome declining revenues only increases the incentive for customers and competitors to further displace purchases from their utility. According to Philip Moeller, a member of the Federal Energy Regulatory Commission, “We are now in an era of rising electricity prices”, the steady reduction in generating capacity across the nation means that prices are headed up. “If you take enough supply out of the system, the price is going to increase”. Utility companies now incur significant risk of not recovering all their costs much less a reasonable return on investment. A key development and new concept is the “grid edge”. As further discussed herein, the most important and impactful developments in the electric utility industry in the foreseeable future will be at the distribution edges of the grid, many if not most on the customers’ sides of the meter. This means tremendous challenges for electric distribution utilities, but at the same time fantastic opportunities to bring a new and better world to their consumers and communities. Moeller, warns that these rapid changes are eroding the system’s ability to handle unexpected upsets, such as the polar vortex, and could result in brownouts or even blackouts in some regions as early as next year. He doesn’t argue against the changes, but believes they are being phased in too quickly. The solar industry will be economically viable without the ITC. However, the planned growth would not be as dynamic. Perhaps this is a good thing as the current grid system is not able to absorb this growth. If you consider the increasing costs of energy as detailed above, perhaps the ITC could be used as an incentive to fund rebuilding the current grid system focusing on storage, sensors, meters and smart technology. Hence, the ITC is important in terms of financing future development.